Don’t be fooled, arcade games are not just for kids parties. One or two arcade games at a fancy dinner/dance party are loads of fun for one and all. A great way to get the party started or keep your guests engaged is to offer some good old fashioned Arcade Games. 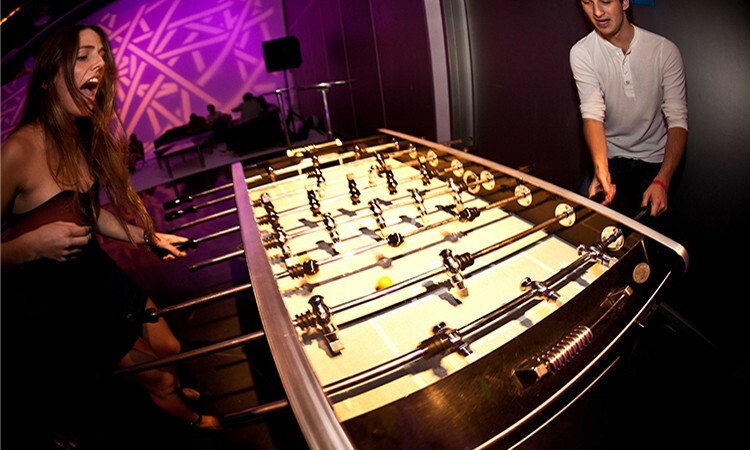 Whether it’s Foosball, Air Hockey, or Pop A Shot…you are sure to find kids and adults alike that will that will anxiously wait their turn to challenge one and all to a face off.